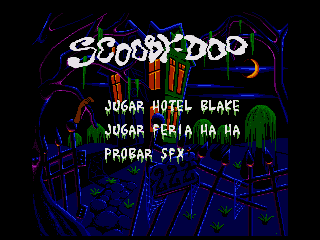 Scooby Doo Mystery is a point-and-click style adventure game where you assist Shaggy, Scooby, and the rest of Mystery Incorporated solve two different mysteries. Help save Daphne’s family hotel from the haunting of an ancient ghost Chieftain - then rescue the staff of the Ha Ha Carnival from an evil clown intent on shutting the amusement park down for good! 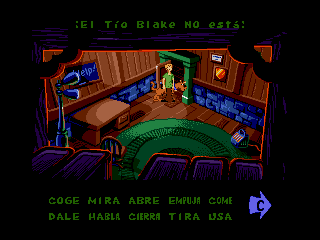 Translation to spanish for Scooby Doo Mystery, for the Sega Mega Dive / Genesis. 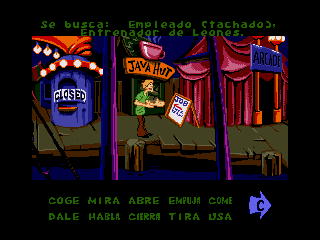 Adds special characters and menu tiles. 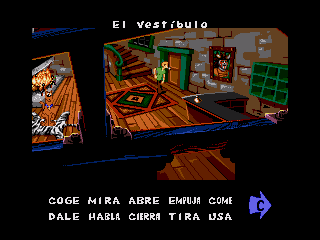 Menu has a graphical bug because it uses the ascii tiles, couldn’t find another way to translate it.